A 25 percent increase in turnover, more than 100 new employees and investments worth appr. 4 million €. For Rimaster, 2018 was a big success. “We have continued to experience a strong financial upturn and never before have we invested as much, in one and the same year. 2018 has clearly been our best year in modern times”, says Per Carlsson, Chairman of the Board. Today, the company has around 1,200 employees. Investments are being made throughout the company – all over the world, in fact. In Horn, investment is being made in premises and new, modern machinery. In Söderhamn, 1,5 million € is being invested in construction work and extensive projects are underway in China and Poland; and in Serbia a major start-up is in full swing. Even in Rimforsa, it’s getting a bit cramped, which means that new premises could become a reality in 2019. Swedish language skills required for this position. Information posted below in said language. 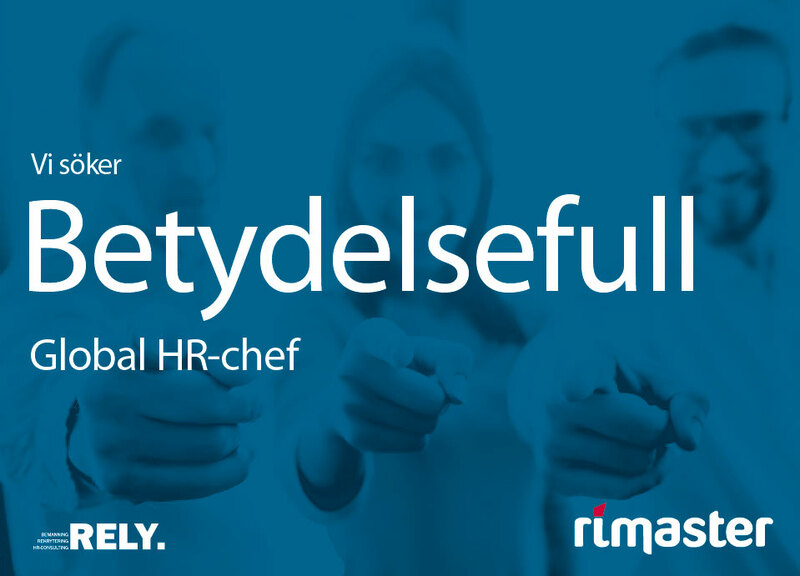 Rimaster Group söker nu en affärsdriven Global HR-chef med passion för att utveckla, behålla och attrahera medarbetare och ledare. Rimaster Group har idag verksamhet i flera länder. I och med att företaget har expanderat kraftigt de senaste åren så föreligger ett allt starkare behov att samordna HR-frågorna i koncernen och få HR-medarbetarna att arbeta ännu mer affärsorienterat. Områden som särskilt pekats ut är personal- och ledarutveckling, strategisk kompetensutveckling och Compensation & Benefits. Inom Rimaster finns övertygelsen att ett starkt HR-fokus kan bidra till ökad lönsamhet genom att bl.a. koppla HR-investeringar till tydliga lönsamhetsmål. I styrelsen och bland ägarna finns ett genuint intresse för ledarskapsfrågor och av lärande i organisationen. I nuläget finns lokala HR-resurser i Rimasters dotterbolag. Globala HR-chefen kommer att rapportera direkt till CEO för Rimaster Group och kommer att ingå i Rimasters Global Management Team. Vi söker en mycket affärsdriven HR-chef som har flerårig erfarenhet av att framgångsrikt ha drivet och ansvarat för en HR-funktion i ett internationellt företag. Det är meriterande att ha erfarenhet från tillverkande företag. Du har PA-utbildning på Högskolenivå eller motsvarande. Som person är du handlingskraftig, initiativrik och tar ansvar. Du har förmågan att se saker utifrån ett strategiskt perspektiv och är van att självständigt driva förändringar. Som ledare utvecklar du andra genom att delegera, ge ansvar och coacha. För ytterligare information är du välkommen att ringa Stefan Johansson på Rely Consulting, 0706 – 58 59 45. Du söker tjänsten via www.relyconsulting.se senast den 20 oktober 2018. Ansökningarna kommer att behandlas löpande. 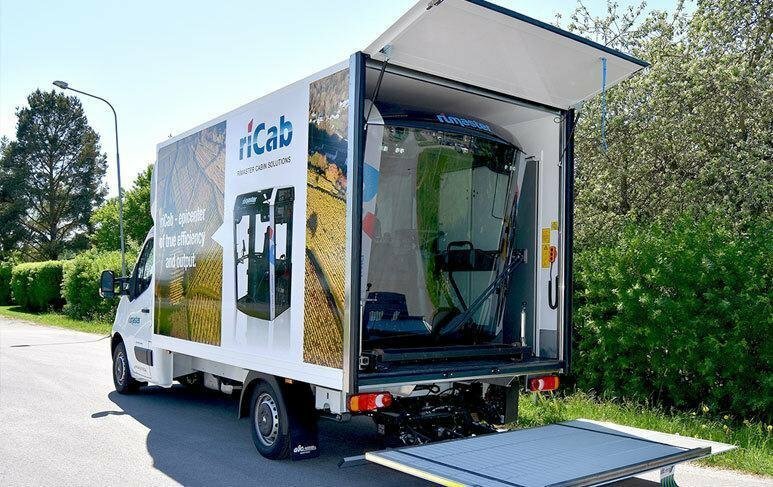 Do not miss out on the great opportunity to check out Rimaster’s cabin solution – RiCab hands on when we start touring Germany and France this summer. Our experts will stand by to let you discover a nice customizable package of design, innovation, electronics/harnessing integration and user interface. Please get in touch with us if you would like us to stop by. New issue of Rimaster’s magazine Riview released. A new issue of Rimaster’s magazine Riview has just been released! Please look at www.rimaster.com under Media to read the PDF version of the magazine. By using our contact form and add your name and adress you can also sign up so that you will continue to get the magazine in the future. And it is for free! 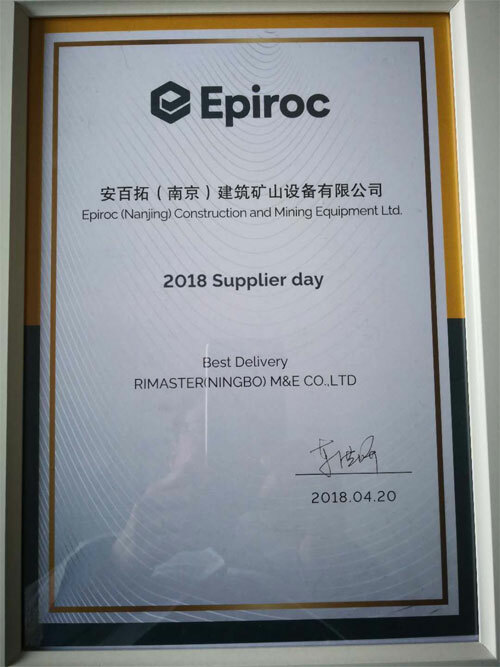 At the Epiroc 2018 Supplier Day – Rimaster Ningbo was awarded the price for “Best Delivery”. 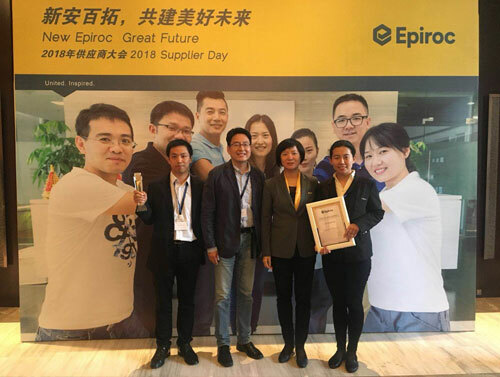 2017 Epiroc business increase more than 30% than 2016, a lot of supplier have OTD problem, but Rimaster keep 98% delivery performance for them. A new issue of Rimaster’s magazine Riview has just been released! This issue is focusing on describring our eight business areas as well as a couple of interesting customer cases where Rimaster’s potential as your partner is described, helping you to make your life as a product owner simpler! 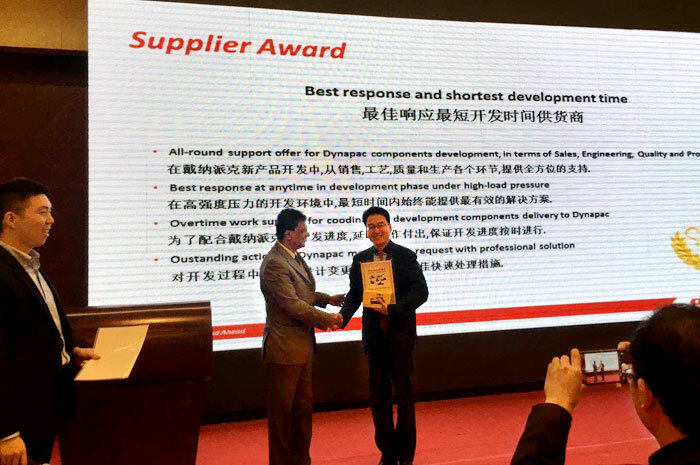 In tight competition with almost 200 suppliers, Rimaster Ningbo has been awarded Dynapac’s Best Response and Shortest Development Time Award 2017. Each year, leading compaction, paving and milling expert Dynapac appoints six suppliers among hundreds. 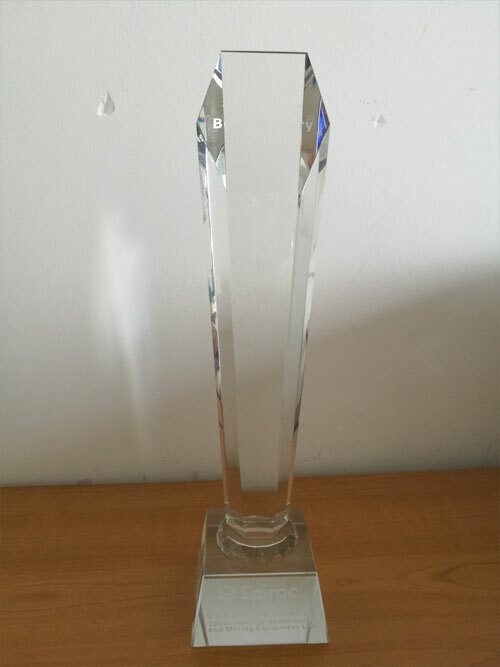 Rimaster Ningbo was chosen for Best Response and Shortest Development Time, notedly after three years of cooperation. ”Rimaster’s relationship with Dynapac goes way back, and our group has also had the benefits of cooperating with other strong brands of the Fayat Group. 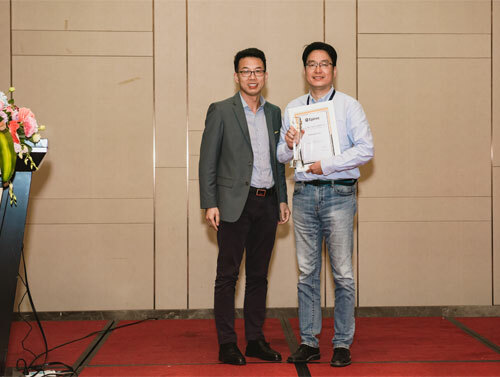 At Rimaster Ningbo, we started off our relationship with Dynapac in 2014, and to us this award is an important proof that we have met the customer’s – and our own – high expectations”, says Jonas Yong Shen, general manager of Rimaster Ningbo. Norrköping-based Chargestorm is one of the leaders in e-Mobility. 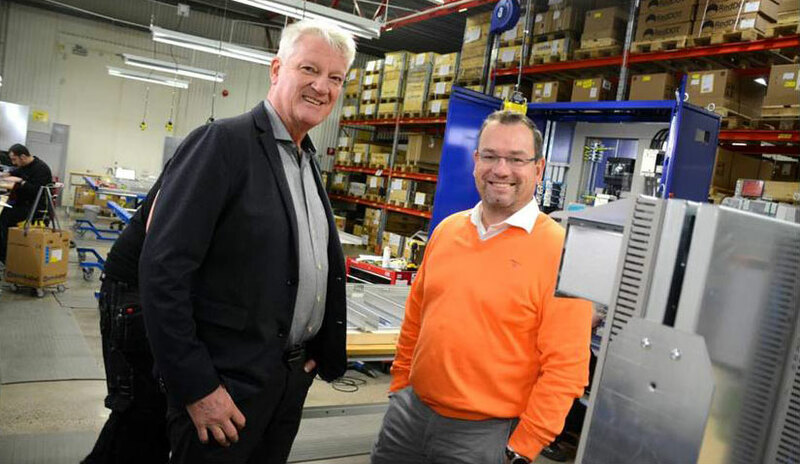 Now, in their introduction of a new product, they are utilising the expertise of another Östgöta company, the electrical systems specialist Rimaster. The EVA Wallbox charging station is to be produced at Rimaster Electrosystem in Rimforsa. Chargestorm is a pioneer insofar as e-Mobility is concerned and the market leader in system solutions and charging structures for electric vehicles. 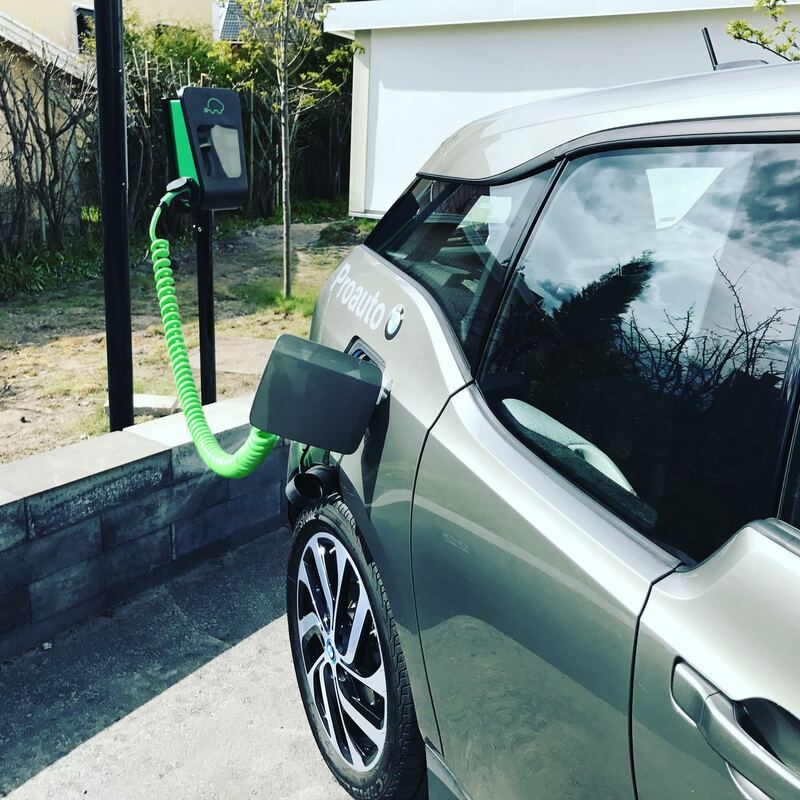 Chargestorm technology can be found in most of the charging stations on the market today and the company’s operating systems are being used by Norway’s largest operators. Chargestorm has also recently signed an agreement with a global dealer to car-parking companies. Rimaster will manufacture EVA Wallbox, which is Chargestorm’s new charging station for homes, condominiums and businesses. EVA Wallbox is based on an intelligent system that can be connected to the Internet, EVA Connected, for monitoring and remote control. Production is taking place in Rimforsa and Rimaster has overall responsibility for manufacturing, function tests and just in time deliveries. “Rimaster has extensive competence in the field of electric cabinetry and is a master at dealing with the whole system. And this makes it possible to achieve a rapid startup. Rimaster’s system offering of competence in development of electrical and electronic systems is also a security for the future,” says Chargestorm CEO, Patrik Lindergren. The collaborative venture is an expression of Rimaster’s strategy of working with new and sustainable technology. “This is an interesting product area that we believe will grow a lot in the future,” says Andreas Kronström, Key Account Manager at Rimaster. A year ago, the first newly arrived refugees were given a job at Rimaster in Rimforsa. Since then, the integration project has grown.